The bills will have high-tech features designed to thwart counterfeiters and took more than a decade to develop. WASHINGTON — The new $100 bill, with an array of high-tech features designed to thwart counterfeiters, will get its coming out party on Tuesday, partial government shutdown or not. The Federal Reserve, which has not been affected by the shutdown, will have armored trucks rolling from its regional banks around the country headed to banks, savings and loans and other financial institutions with the new C-notes. The bills took more than a decade to develop and the introduction was plagued by production problems that set back the rollout by 2½ years. But officials say the problems have now been fixed. Some bank customers could start seeing the new bills by Tuesday afternoon depending on how close their bank is to a regional Fed facility. “We have 3.5 billion of these notes which we think will be more than ample to meet domestic and international demands,” said Sonja Danburg, program manager for U.S. currency education at the Fed. The bill redesign, the first for the $100 bill since March 1996, will still have Benjamin Franklin on the front and Philadelphia’s Independence Hall on the back. It will also have a number of new features that will definitely turn heads. There is a disappearing Liberty Bell in an ink well and a bright blue three-dimensional security ribbon with images that move in the opposite direction from the way the bill is being tilted. The $100 bill is the last bill to get a make-over in a process that began in 2003 with the $20 bill. The government redesigned the greenbacks with subtle colors and other security features to make it harder for counterfeiters. 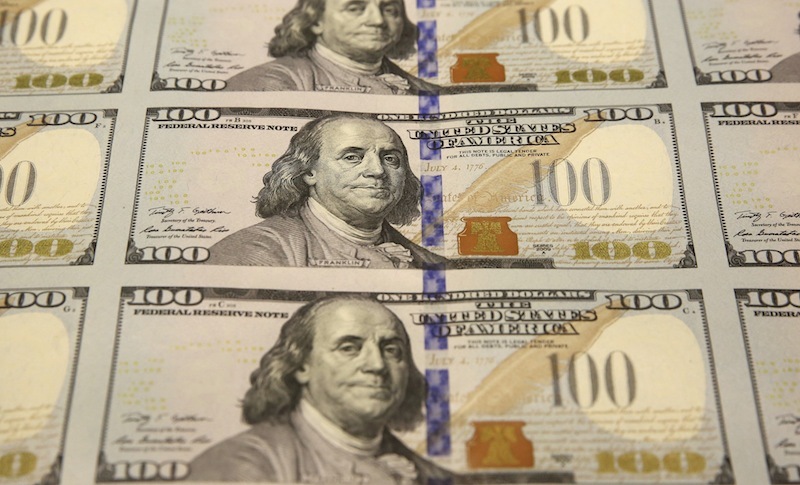 The $100 bill, which is the most commonly counterfeited note outside of the United States, was redesigned with even more complex security features. But the government ran into troubles when 1 billion of the first bills were found in 2010 to have unwanted creases. There was later a problem with ink smearing that further delayed introduction of the new notes, which were initially scheduled to be introduced in February 2011. Felix said the bureau is now confident it has resolved the various production issues. 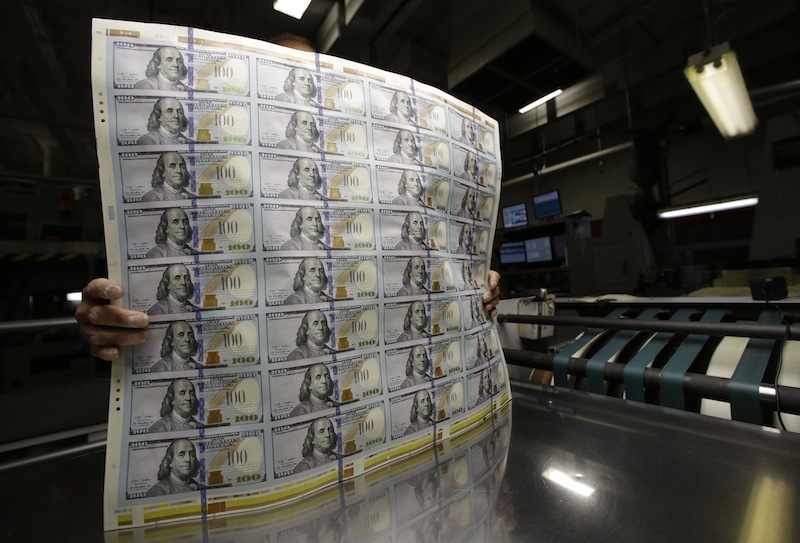 Officials stressed that the $900 billion worth of $100 bills currently in circulation will remain good and will only be gradually phased out as worn-out bills are returned to Fed facilities. The $100 bill is the largest U.S. denomination in circulation and has the longest life at 15 years. The $1 bill lasts 5.9 years. The new $100 bills will have one old feature. The signature on the bills will be that of former Treasury Secretary Timothy Geithner. The signature of current Treasury Secretary Jacob Lew, who has been teased by President Barack Obama for his loopy handwriting, will start appearing once the current supply of new bills has been put into circulation. The Fed has a website at www.newmoney.gov with information in 23 languages on the new bills.